Vacaville’s rich history, open spaces, and shopping are just a few of the reasons to visit. More than the place to stop between "here and there", Vacaville boasts gorgeous outdoor spaces that beg to be explored, a wealth of historical treasures in the form of one of California’s most legendary road stops and an aviation museum, and family-friendly fun that will keep kids (and kids-at-heart) busy and happy! 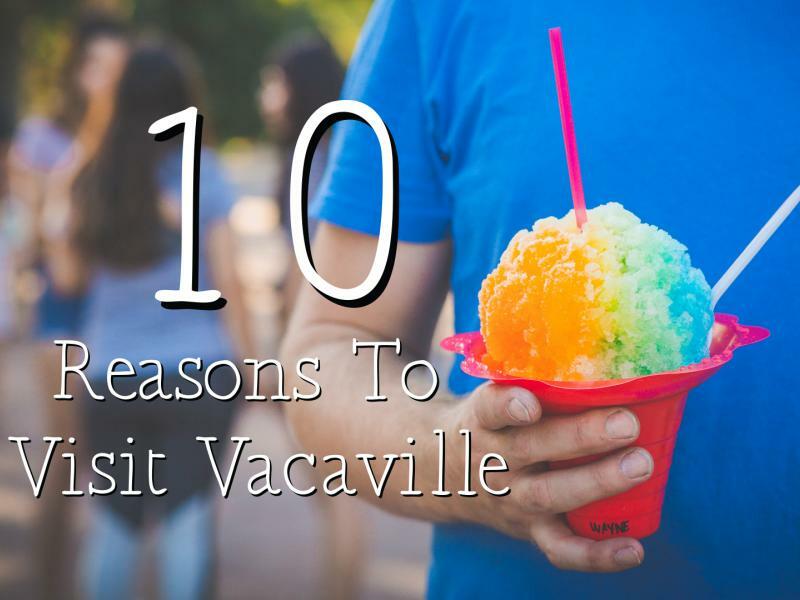 Pick any one, or all, of the top ten reasons to Visit Vacaville and you’ll see the big adventures our small city has to offer. 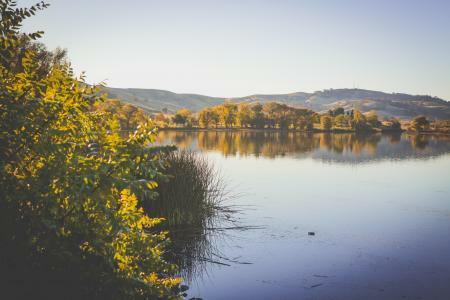 Pena Adobe and Lagoon Valley Park - This expansive regional park has long been a jewel in the crown of open spaces in Vacaville and Solano County. The lagoon is home to countless species of birds and other wildlife. With hiking, walking, and biking paths crisscrossing the 470 acres, archery ranges, a disk golf course, and a large gated dog park, Lagoon Valley caters to adventure lovers of all kinds. The Nut Tree Airport and The Center for Freedom and Flight - The Nut Tree Airport is a small, public use airport that has held been part of the heart of Vacaville’s growth from its earliest days. Visitors can explore the history of aviation in Vacaville and throughout the area at The Center for Freedom and Flight. The museum, located right next to airport, is not only a fun place to see historic aircraft and memorabilia up close, it’s also a fantastic event venue for large groups. The Nut Tree Plaza - One of the many reasons for visiting Vacaville is to see the modern take on a Vacaville classic: the Nut Tree. A California legend since the 1920’s, the Nut Tree has been reborn into a chic shopping center with ample dining options, while paying homage to its roots with a central play plaza for families to stop and enjoy a break during long road trips along the I-80 corridor. Still home to the famous Nut Tree engine #5 and the multicolored hobby horses beloved by many, the plaza has been updated to include giant chess, picnic tables, a playground, and a majestic carousel. Play time at the plaza wouldn’t be complete without a classic Fenton’s sundae, and visitors love to stop there for a sweet treat to top off their trip! The Vacaville Premium Outlets – A favorite among visitors and locals alike, the Premium Outlets offer up a shopping experience to match any style and budget. From Coach to Kate Spade, to Michael Kors, score great deals on designer fashion, footwear, housewares and more! Browns Valley Boulders - Nestled along the ridge line between North Vacaville and Browns Valley are the mammoth Browns Valley Boulders. These basalt sentinels boast more than 50 boulder problems, ranging from easy to hard, offering a climbing challenge for anyone willing to give them a try. Access to the boulders is through the Brown’s Valley Open Space, and those who summit the boulders will be treated to some of the most beautiful views in town! Get all the best tips and tricks for finding and scaling the boulders here. Farming Community – Cruise the backroads in search of agri-venture in Vacaville! Small farms, produce stands, open farm days, and seasonal events make it easy to taste the freshest flavors in town. See everything from olive oil orchards, nurseries specializing in rare and exotic plants and herbs, and the cuddliest alpacas you’ll ever meet! Great Mexican Food – We mean seriously great Mexican food. Fresh, unpretentious and flavorful is what you’ll find when you visit local favorites like Vasquez Deli, Santanas Cantina, Tacos Jalisco, and Hecho in Mexico. Pile on the guac and feast like every day is taco Tuesday. Craft Fairs, Vintage Markets, and Cool Classes – Find local craft fairs year round, including the Vacaville Vintage Market, which offers up everything from rustic farm-y finds to estate sale treasures, every third Saturday. Local businesses like Succulents by Noelle at Sweet Pea's Nursery, Morningsun Herb Farm, Lockewood Acres, and Soul Food Farms host to a variety of courses on topics from arranging succulents to raising chickens to wreath making. Wide Open Spaces – Open space isn’t something you’d expect to find in a town bordered by hillsides, but it’s all around if you know where to look. Sunflower fields bursting with color, regional and community parks, and breathtaking hilltop views that show off the city and regions beyond are worth seeking out here. And the adventures you’ll find while getting there? Those are just an added bonus. 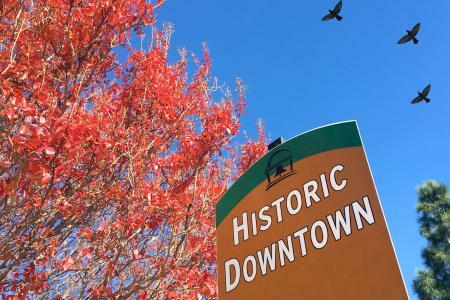 Historic Downtown – Take a stroll through historic downtown and you’ll see the history of Vacaville rubbing shoulders with brand new developments like the East Main District (set to open in 2019). From the original Town Hall to the Opera House and old Post Office. Vacaville’s rich architectural history is on full display downtown, housing shops, restaurants and businesses that are all worth seeing. Snag a copy of the historic homes tour from the Vacaville Museum to learn even more about the history of the homes lining Buck Avenue and Main Street. If you or someone you know are planning a trip to Vacaville this year, make sure to utilize our trip planner tool to create a custom itinerary! 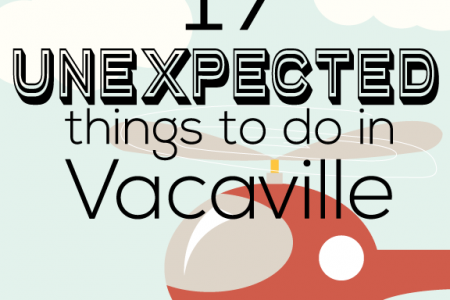 Because Vacaville is so much more than just shopping!